What are the environmental impacts? Friday, 16th February, 2018: Inland Fisheries Ireland (IFI) has today published a report into the occurrence of Farmed Atlantic Salmon in the Western River Basin District which confirms the presence of escaped farmed fish in a number of rivers in the Galway and Mayo region. IFI has not been advised of any reports, by salmon farm owners, of escapes, coinciding with the detections, to the Department of Agriculture, Food and the Marine (DAFM), the licensing authority for aquaculture. The reporting of escapes to DAFM are a condition of aquaculture licences. The new report by Inland Fisheries Ireland says that ‘up to five hundred escaped farmed salmon may have entered western salmon rivers during the August/September period 2017’. Furthermore, it says ‘that the presence of sexually mature farmed salmon in rivers poses a potential threat to local wild salmon populations from interbreeding and other ecological effects’. Angling development has taken off in Ireland following major capital investment. Salmon conservation projects, angling facilities improvements, Coach training programmes, Angling for Youth Development Ireland Hubs support, and the provision of angling access and safety equipment is making a major difference throughout the country. Paddy Sullivan Chairman SSTRAI acknowledges we are now seeing the benefits of state investment. We are now receiving millions of Euro in financial support this together with the expertise of state agency personnel is now helping to develop our angling sport throughout the country. SSTRAI welcomes the recent announcements of successful funding applications under the IFI Salmon Conservation Fund, the National Strategy for Angling Development, Sports Capital Grants and Sport Ireland. The level of financial and personnel support we have received from the State Agencies such as Inland Fisheries Ireland, Sport Ireland, Coaching Ireland, Department of Transport, Tourism and Sport (Sports Capital Grants) has improved immensely in recent times and the assistance and guidance of angling national governing body the Angling Council of Ireland (ACI) has been pivotal to our success. The Salmon & Sea Trout Recreational Anglers Ireland are delighted that millions of Euro are being invested through clubs and organisations for very specific projects. The level of support available now is having a very positive impact nationally on angling sport; this could not have come at a better time as we face many new challenges. Declining salmon and Sea-trout stocks are worrying, we must ensure we do all we can to protect them. I would also like to thank Irish Water for engaging with our affiliated clubs and providing leases and permissions for angling development projects. Through our combined efforts we can provide much needed facilities for our anglers of all ages. Angling is a cradle to grave sport and is available to everyone. Through the Angling Council of Ireland we have received excellent support for our organisation. The Angling Council of Ireland NGB has provided us with administrative support, Garda Vetting, training and financial support. This has helped us to advance angling as an adventure sport and outdoor activity that can be enjoyed by all. The support received from state agencies and the ACI has given our sport a lift. It has energised our voluntary members to work even harder to encourage more angling participation by all with a focus on youth. We want to ensure everyone can enjoy all the benefits of angling, an outdoor activity with a difference. The latest alert about Baltic salmon exports follows a horsemeat contamination scandal in the EU which affected many countries. “We don’t think more salmon is being exported now, but because of the horsemeat scandal we are stepping up action on food fraud,” Mr Sjoegren said.Sweden’s National Food Agency says the average intake of dioxins among adult Swedes is well below the “tolerable weekly intake” set by the EU. Children and young women, it adds, should especially limit their consumption of wild Baltic fish because dioxins pose the most risk to babies and young children. Dioxins spread by incineration and chemical pollution can accumulate in the body over years and can trigger cancer or reproductive abnormalities.The European Food Safety Authority says that, on average, Baltic herring and wild Baltic salmon are respectively 3.5 and five times more contaminated with dioxins than non-Baltic herring and farmed salmon. Salmon Confidential is a new film on the government cover up of what is killing BC’s wild salmon. When biologist Alexandra Morton discovers BC’s wild salmon are testing positive for dangerous European salmon viruses associated with salmon farming worldwide, a chain of events is set off by government to suppress the findings. Tracking viruses, Morton moves from courtrooms, into British Columbia’s most remote rivers, Vancouver grocery stores and sushi restaurants. The film documents Morton’s journey as she attempts to overcome government and industry roadblocks thrown in her path and works to bring critical information to the public in time to save BC’s wild salmon. Live Release Video gains 8,107 viewsReleased a week ago, the Live Release video sponsored by ASF, FQSA and the Quebec Government has had more than 8,000 views on YouTube and Vimeo in English, and on YouTube in French. If you haven’t already seen it, check out this 7 min. video. There’s also a sample email below that you can forward to your friends. Thanks again — together we’re making change happen. Leave No Trace Ireland is pleased to announce the appointment of Maura Lyons as Programme Manager for the organisation.Maura is originally from West Cork, has qualifications in Communications, Food Business and Psychology and has previously worked in the tourism and business development sectors. Maura is a keen outdoor enthusiast, is passionate about Ireland’s environment and will be responsible for managing and developing the Leave No Trace programme in Ireland over the next few years. Leave No Trace Ireland was introduced to Ireland in 2006 with the aim of using this internationally recognised message and educational programme to encourage responsible outdoor recreation throughout the island of Ireland. Built on an ethos of personal responsibility for the environment, the Leave No Trace programme, helps people understand the impact of their activities and make better choices when they use the outdoors. The programme is now supported and promoted by a growing number of State agencies, local authorities, outdoor education centres, tourism businesses, governing bodies of sport, environmental and outdoor recreation agencies. 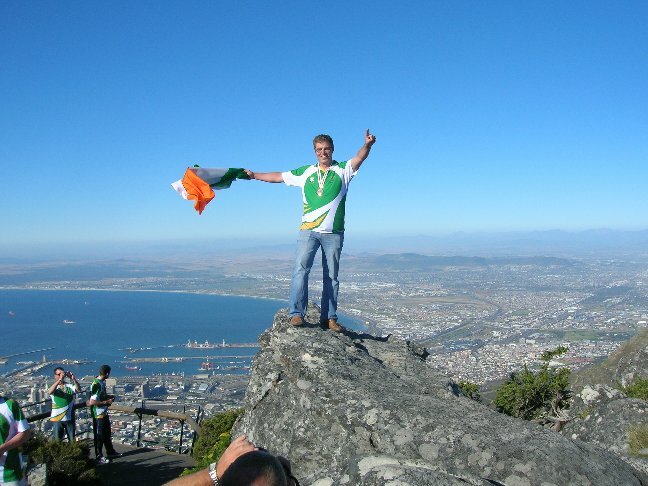 Cormac MacDonnell (Chairperson, Leave No Trace Ireland) wished Maura every success in her position which comes at a time when more and more people are getting into all forms of recreation in the Irish outdoors and the need to care for the environment and to considerate other people, flora and fauna is becoming ever greater. He also acknowledged and thanked Outdoor NI for managing the Leave No Trace programme over the past five years and also all the main funders of the programme which include Coillte, Fáilte Ireland, Irish Sports Council and the Department of Environment, Community & Local Government for their continued support. Maura has established a new Leave No Trace office in Westport, Co. Mayo and looks forward to working with all Leave No Trace trainers, partner agencies, businesses and outdoor enthusiasts on the further development and promotion of the programme in Ireland. Wild Salmon and Sea Trout Tagging Scheme Regulations, 2012 provide for, among other things, the total allowable catch of fish that can be harvested by commercial fishing engines and rod and line from identified rivers. Conservation of Salmon and Sea trout (bag limits) Bye-law No. 901, 2012provides for an annual bag limit of 10 fish being either salmon or sea trout (over 40 cm) per angler and provides for a season bag limit of 3 fish in the period 1 January to 11 May, a daily bag limit of 3 fish from 12 May to 31 August and a daily bag limit of 1 fish from 1 September to the end of the season. The Bye-law also provides for the use of single barbless hooks and prohibits the use of worms as bait once the specified number of fish have been caught in the specified periods. Conservation of Salmon and Sea trout (catch and release) Bye-law No. 902, 2012 provides for an annual bag limit of 10 fish being either salmon or sea trout (over 40 cm) per angler and provides for a season bag limit of 3 fish in the period 1 January to 11 May, a daily bag limit of 3 fish from 12 May to 31 August and a daily bag limit of 1 fish from 1 September to the end of the season. The Bye-law also provides for the use of single barbless hooks and prohibits the use of worms as bait once the specified number of fish have been caught in the specified periods. Conservation of Salmon and Sea trout (closed rivers) Bye-law No. C.S. 313, 2012 prohibits the taking or attempting to take by rod and line salmon and sea trout over 40 cm in the rivers specified in the Bye-law. Minister also retains lower licence fee Regulations and bye-laws for management of the wild salmon fishery in 2013 approved. “Last year I lowered the cost of fishing licences and I have decided to maintain that price cut for 2013. I am anxious that lower costs will encourage sales of annual licences and incentivise angling tourists to avail of the Ireland’s first-class angling product.” ,he added. 58 rivers are closed as they have no surplus of fish available for harvest in them. The Wild Salmon and Sea Trout Tagging Scheme Regulations for 2013 are in essence unchanged from the Regulations which were introduced for 2012. A number of minor amendments to the Regulations, recommended by Inland Fisheries Ireland, will provide for more effective administration of the tagging scheme regulations in 2013. 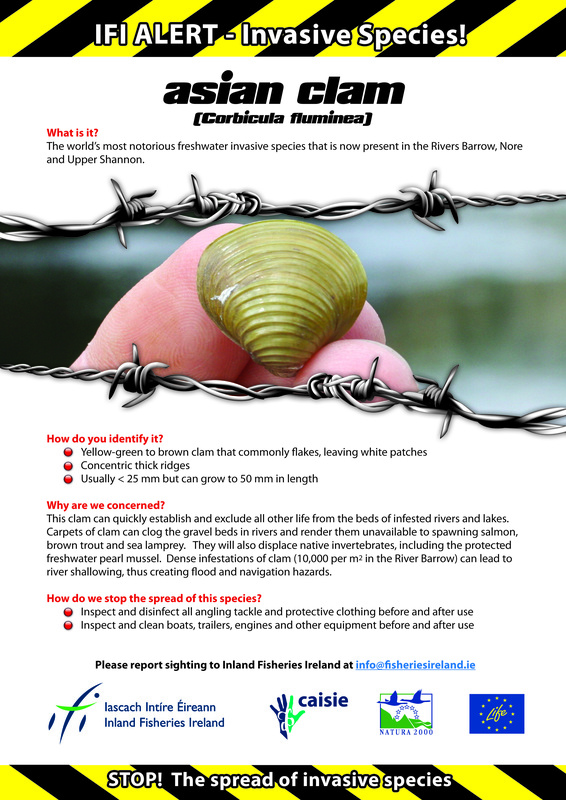 The Inland Fisheries Ireland Sponsorship Scheme 2013 is now open for applications. Full details of the scheme are available on line and the closing date for receipt of applications is January 15th, 2013. 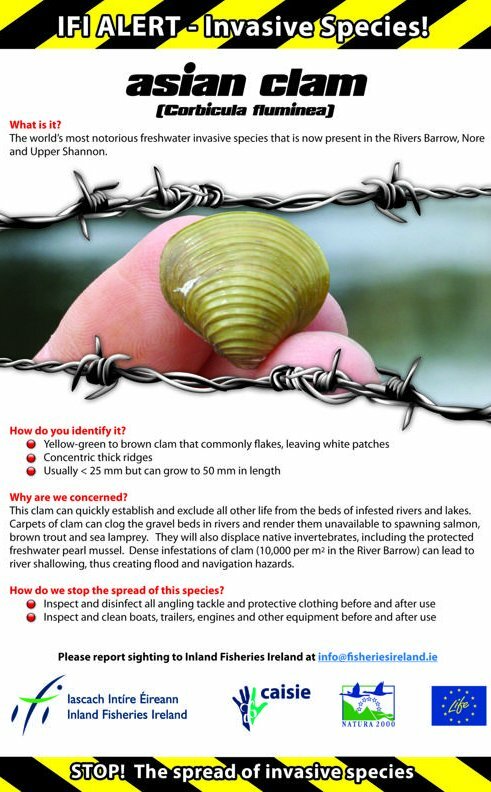 There are some changes to the scheme for 2013 with biosecurity and catch and release conditions safeguarding Ireland’s wonderful inland fisheries and sea angling resources. Prizes may be sponsored under the scheme, but must be fishing tackle or angling related in order to support those providing a service to Irelands estimated 500,000 anglers. The scheme is open to federations, clubs, individuals, youth groups, commercial salmon sector etc who in the past have gained sponsorship for competitions, angling lessons, heritage projects , international, national and local events all of which promote some or all of the following: inland fisheries, recreational angling and conservation. 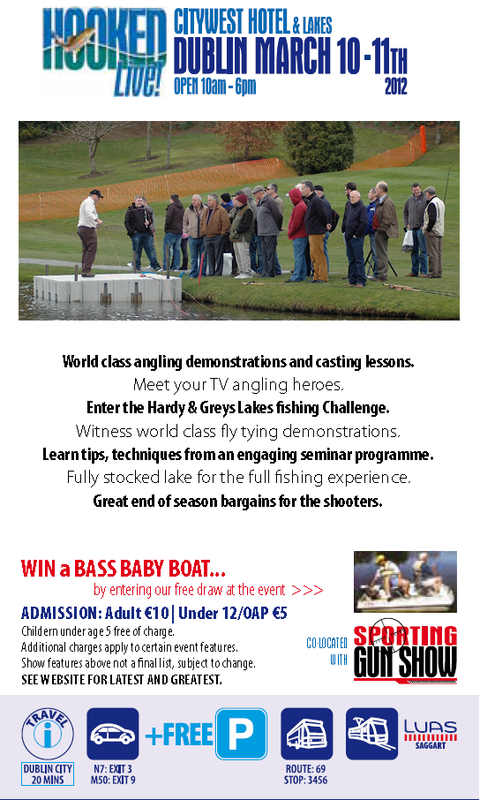 The scheme can be downloaded from http://www.fisheriesireland.ie/Angling-Information/sponsorship-programme.html and is subject to budget. Anglesea Street, Clonmel, Co. Tipperary. Please find the Secretaries annual report in the link below. SPEECH: Minister of State at the Department of Communications, Energy and Natural Resources (Mr F O’Dowd)I am pleased to be able to provide clarification on the issue of Bye Law 888 which was introduced with effect from 1st January 2012.Bye Law 888 2011 will shortly be revoked and replaced by Bye Law 897 2012. 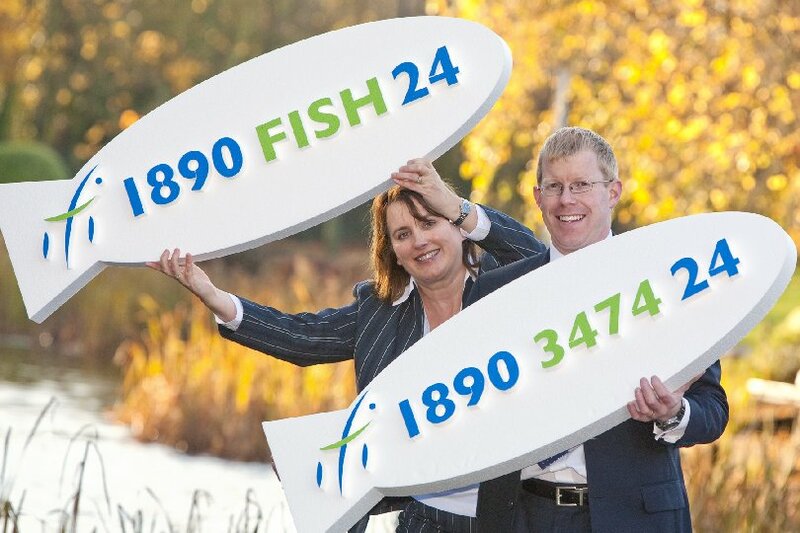 This change will have the effect of removing a number of provisions which had unintended consequences in the implementation of Bye Law 888.Following concerns raised with Inland Fisheries Ireland on some elements of the Bye-law, the CEO and senior management within IFI met with a delegation from the Angling Council of Ireland which included representatives from all of the major angling disciplines and federations. Angling Bye-law 888 2011 prohibited persons using or attempting to use worms, prawn or shrimp as bait or any fish hooks, other than single barbless hooks, in angling for any kind of fish in the waters of rivers named within the Bye Law. The angling delegation also raised the matter of the adequacy of consultation carried out in relation to the array of Statutory Instruments / Bye-Laws implemented from the 1st January 2011. The position is that all of IFI’s 2012 fisheries management proposals were published on my Department’s website during the normal statutory 30 day consultation period. While this was part of the proposed salmon management regulations, it is recognised that those proposals had the potential to ultimately effect coarse and pike anglers. These anglers would not necessarily have had reason previously to examine the consultation documents for salmon management and hence they did not appreciate the significance of the proposed Bye-Law. Following discussion with the Angling delegation, it has been agreed that for future years, in addition to publication on my Department’s website, the advisory/consultation documentation will be sent directly to the main angler representative bodies in advance of sign off. The angling representatives can then disseminate to their members and other interested parties. There was also some concern at the banning of prawn and shrimp as an angling bait on Catch and Release salmon fisheries. 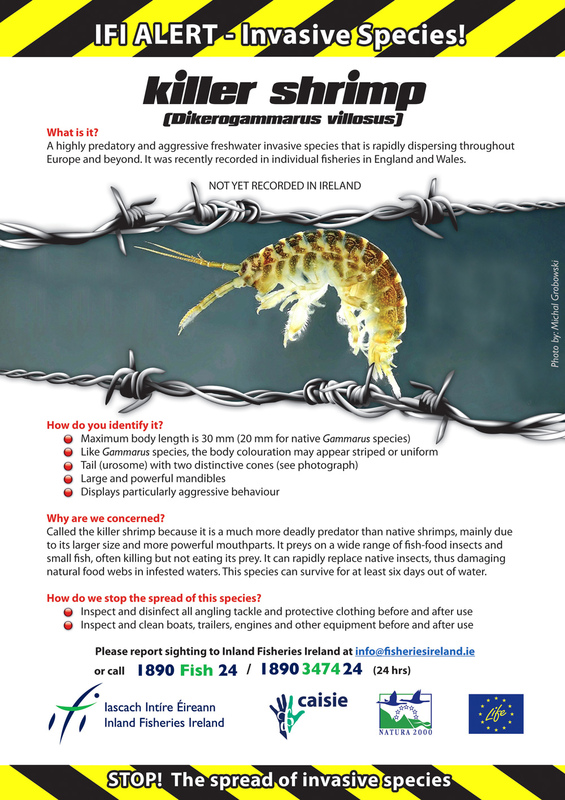 Given that the use of prawn and shrimp as bait can be compatible with catch and release angling in the right conditions, it is proposed to remove this element of the Bye-Law and only restrict the use of worms as bait which is not compatible with catch and release angling. A number of other issues arose in relation to the interface between the river and sea and where the worm fishing ban starts and stops and whether it is the use of terrestrial worms (Lumbricus) or marine worms (Arenicola, Nereis) or both which is banned by the Bye Law. This is a very valid issue. On any of the salmon fisheries which are either closed or opened on a “catch and release only” basis and which have a tidal /estuarine element to them, there are clearly demarcated lines as to where freshwater fishing is considered to stop and marine fishing is considered to start. The spirit of this Bye-Law is to stop persons purporting to fish for other fish species when in fact they are fishing for salmon. In this regard the clearly acknowledged bait for salmon fishing is terrestrial worms so an angler fishing with marine worms (lug worm (Arenicola) /rag worm (Nereis)) will have no difficulty. A clear communication to the angling communities concerned on how this element of the Bye-Law is going to be implemented will help to resolve this issue and the similar issue of the use of single barbless hooks. However it is not proposed to make any adjustments so as to mark in law each of the transition areas between freshwater and marine angling as this would be overly cumbersome and would set an unnecessary precedent. In addition a number of specific regional issues that were raised with IFI, as a result the River Fergus System and the Kilcolgan River will now be excluded from the bye-law. The marketing and promotion material for the Eastern River Basin District (ERBD) was also discussed. It was suggested that promotional material does not refer to the ban on the use a single barbless hook and a ban on using worms as bait. This issue actually relates to Bye-Law 824 of 2007 which is now five years in existence, rather than Bye-Law 888. However in general when providing such information in promotional material it can easily mean that the brochure can quickly and unintentionally be taken as a guide to angling legislation rather than the intended function of encouraging people to fish. Bye-Law 824 of 2007 was enacted after the production of some of these publications and that is why it was not referred to in the material. However, in the ERBD brochure update in 2007/2008 there is reference to the prohibition on the use of worms on any hooks other than single barbless hooks. Unfortunately it is not always possible to reprint on an annual basis so brochures have been designed in so far as possible to maximise their shelf life. This can on occasion lead to brochures becoming out of date, but IFI place up-to-date information on its website and its staff do seek to clarify and be of assistance to anyone who gets in touch..
IFI intend to ensure that reference to the relevant Bye-Law is included in all updated versions of promotional brochures and where space is at a premium clearly indicate that people should consult the IFI website for full up to date information. In conclusion Bye-law 888 is to be replaced by a Bye-law which will incorporate the following changes. All other issues can be dealt with through giving a clear communication of the spirit and intent of the Bye-Law and how it is going to be implemented. Location CorkThis is the 11th ACI / Coaching Ireland certified angling coach course. It is a one day course and is part subsidised by Inland Fisheries Ireland These courses are open to all affiliated federation club members.For further details please contact Tom Lillis ACI Course Coordinator E-mailchairifsa@gmail.com or either of the following ACI Coach Tutors, Bob Seward GAIA, E-mail info@anglingcouncilireland.ie, Der Casey GAIA, Emailder.casey@gmail.com.The full programme of coaching and CPD courses will be published here shortly. 10th January, 2012UK – The 12 drifting salmon cages containing 300,000 fully grown fish which went missing from the Shetland isle of Unst during the Christmas gales have been taken under tow.ShetlandNews reports that the Danish tug Westsund took hold of the cages at 10.40am on Sunday morning as they lay in relatively calm waters 60 miles east of Shetland.The salmon tender Orcadia is also heading to the scene from Orkney to assist with the tow, which Shetland coastguard said was making very slow progress on Sunday afternoon.The 12 cages lost their moorings off the south coast of Unst when westerly winds reached more than 100mph on Christmas Day in Shetland.Owners Meridian Salmon managed to attach a tow using their well boat Victoria Viking on 30 December, but the operation had to be aborted due to the strength of the tide.The cages went missing again until Friday when they were spotted by Marine Scotland’s fish patrol aircraft Watchdog64, and the Shetland whitefish trawler Opportune kept a close eye on them until Westsund arrived.The company said the fish had a sales value of more than £3 million and the loss was a serious blow, however they have said it has not deterred them from farming salmon in Shetland.It is understood that two of the cages are submerged, but it is believed they are still attached to the others. The salmon are unlikely to have survived the two week ordeal. IFI will be both organising and running events, as well as supporting events organised by other angling organisations and communities across the country during the week. Events are planned on a daily basis nationwide and the range of events offered are not only angling events but some giving an understanding of the roles carried out by IFI. Most events are free, open to all, of any age or ability, to attend. Experienced anglers, coaches or IFI staff will be at all of the events to offer advice and show newcomers how to fish, or improve their skills. Clubs, associations, coaches, guides, skippers can all run their own events. As well as supporting the week this is an excellent opportunity to boost club memberships, fishery bookings, coaching sessions and even to sell equipment. Register an event at www.faw.ie. Most anglers first fishing experience is organised by friends or family. That makes existing anglers, the most important gateway to angling there is. So as an individual angler what can you do? Encourage someone to attend an event — better still go with them. Sisters will be doing it for themselves at the ladies fly-fishing day! Communication to ACI January 20th, 2011Inland Fisheries Ireland (IFI) provides this communication on foot of requests from ACI membership relating to Board Members, and the Inland Fisheries Ireland Corporate Plan. Following meetings with the various Angling Federations during the period July to December 2010 it is appropriate that a progress update is communicated at this time. In order to maximize the use of resources, IFI will communicate this and similar updates to ACI for distribution to its members. ï¿½On 22 December last the Minister of State, at the Department of Agriculture, Fisheries and Food (DAFF), Mr Sean Connick TD, issued a statement with the headline ï¿½Minister Connick welcomes improvement in sea lice management on salmon farmsï¿½. Minister Connick has responsibility for the licencing and regulation of salmon farms within DAFF. The occasion of his statement was the publication by DAFF of its annual report on the incidence of sea lice in salmon farms and on progress on the implementation of DAFFï¿½s ï¿½Strategy for improved pest control on Irish salmon farmsï¿½, published in May 2008. The point at issue between the Minister and Salmon Watch Ireland , and others concerned with the protection of wild salmon and sea trout, is the harm being done to wild salmonids by inadequately regulated salmon farming. The environmental impact of salmon farms is considerable and, in Ireland, virtually uncontrolled with the sea lice concentrations generated by farms having a lethal impact on juvenile salmon and sea trout migrating to feeding grounds in the sea in late spring each year. These impacts have been well researched in all major Atlantic salmon farming countries (Norway, Scotland, Ireland and Canada), including within studies funded by the EU Commission. The reality is that the regulation of the salmon farming industry in Ireland is a shambles at virtually every level and does no credit to any of the political, administrative and technical public servants responsible for designing and implementing an effective regime for its management. Until there is a serious and honest effort to address all of the issues associated with the industry then its potential for orderly development (which has been the subject of numerous reports over the past twenty years) will never be realized and serious and unnecessary damage will continue to be inflicted on wild salmonid stocks. In fact, there is little for the Minister to welcome in the DAFF report and rather than commending its authors he would have been well advised to have demanded answers to some serious questions about progress in eliminating the negative environmental impacts of salmon farms. There is, for instance, no comment anywhere in the Ministerï¿½s statement or in the report to the fact that the Irish authorities are being vigorously pursued by the EU Commission to bring the management of salmon farms into conformity with EU Habitats Directive protections for wild salmon, on foot of a complaint lodged with the Commission by Salmon Watch Ireland in 2009. What is clear from the report is that the impact of sea lice infestation on the salmon being farmed is the primary driving force for action by DAFF and the industry and that the now well researched and understood impact on migrating wild salmonid juveniles is very much a matter of secondary concern. Among the recommendations made in the report is one that ï¿½the Monitoring Regime and Pest Control Strategy be further developed to accommodate the growing trend towards organic farmingï¿½. What this actually means is that the chemical treatment of sea lice should be curtailed so as to maintain the organic status of certain farms rather than being driven by recorded sea lice levels and the needs of the wild stock. This reflects a stance of DAFF going back at least as far as the 2008 report. The bias in favour of the salmon farming industry is also evident from another recommendation in the report that ï¿½the requirement to carry out mandatory treatments would be waivedï¿½.on a case by case basisï¿½ where the treatment of large fish and/or fish due for imminent harvest is involved. In fact, the report records that such a waiver process, for which there is no formal provision in the current regime, is already being implemented: the report claims that in respect of Kilkieran Bay early harvesting of fish was carried out in 2010 as a result of two successive treatments for sea lice not having reduced the levels to the required limits. The sites in Kilkieran Bay had, in fact, been treated seven times before harvesting took place and this was done in any event at the same time of year has had historically been the case for harvesting at these sites. In his statement the Minister professes himself to be heartened by ï¿½a sustained reduction in the level of egg-bearing lice on farms in spring timeï¿½. If he believes that then he must not have read the report itself which records that of the inspections carried out on farms in the Galway/Mayo area during the critical spring period in 2010 (when junior salmon and sea trout are migrating to sea) it was found that in 61% of cases sea lice levels exceeded those that trigger a requirement for treatment and over the year as a whole 53% of inspections detected excessive sea lice levels. To the extent that there was an overall, national reduction in average sea lice levels (a fairly meaningless metric given that the impacts are local) it can in the main be traced to a reduction of production and, therefore, of sea infestations in Kilkieran Bay which has had a particularly bad record over many years. From December 1st, the phone line will be manned on a 24Hour basis. All calls will be answered by IFI trained personnel, not an answering machine. Details of the information will be logged and the information will be passed on to the relevant person and office in IFI on a 24 hour, 7 day basis. 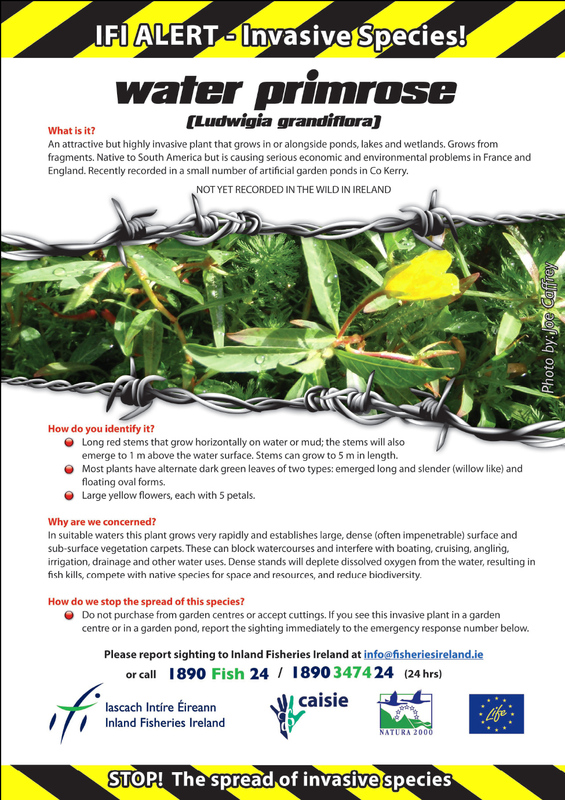 Follow up of calls may be immediate where resources allow and the information is classified as urgent.. Where calls relate to past events, follow up will begin on the next working day.Callers will be encouraged to provide their personal contact details to allow for further follow up on their information where required.Inland Fisheries Ireland is a statutory body operating under the aegis of the Department of Communications, Marine and Natural Resources and was established under the Fisheries Act on 1st July 2010. Its principal function is the protection and conservation of the inland fisheries resource. IFI will promote, support, facilitate and advise the Minister on, the conservation, protection, management, development and improvement of inland fisheries, including sea angling and develop and advise the Minister on policy and national strategies relating to inland fisheries and sea angling. AN OPEN LETTER TO THE GOVERNMENT ON BEHALF OF IRISH SPORTClick Here To DownloadWe are writing on behalf of everyone who is involved in sport in Ireland; the participants at all levels, the coaches, the administrators, the volunteers and the countless people for whom sport provides much welcome relief from the difficult times we are living through. We believe it is fair to say that sport has never been more important. Sport has a real capacity to lift everyone in the country whether they participate in any aspect of sport or merely follow Irish sport on television or through the wider media. And we are talking about the positive effects of sport at every level not just the elite participants, important as they are to us all. What other aspect of life in Ireland gets 270,000 people to volunteer their time on a weekly basis to ensure that 1.7 million people participate in sport in 12,000 clubs, in every parish in Ireland. It is possibly because of this input from volunteers that there is a popular misconception in some areas that SPORT JUST HAPPENS. Nothing could be further from the truth. Sport as we know it in Ireland today, is the result of good planning, enlightened administration and financial investment particularly by the Government on behalf of all tax payers. That funding is the lifeblood of sport in Ireland and the catalyst for all that follows. On a purely practical level, for every euro invested by Government the sports themselves invest a further two euros. Research published recently found that for every ï¿½100 invested by Government (both National and Local) the return to the Exchequer is ï¿½149. It is the funding that drives the programmes at grassroots and schools level; the programmes that eventually lead to the elite performers that represent us all on the world stage. We cannot overstress just how important the current funding is to the future well-being of sport in Ireland. While we fully understand the difficulties faced by the country and the pressures to make savings, it would be difficult over-emphasize just how important the impact of the ï¿½49.6 million given to sport through the Irish Sports Council is. It is the seed capital for activity and an industry worth in excess of ï¿½1.8 billion to Ireland each year. It is essential that Government funding is maintained if we are to continue to develop sport at every level. It must be remembered only a small proportion goes to our elite performers. Over 80% of the money provided by the Government is invested in sport at grassroots level in creating the programmes that will produce top class athletes and just as importantly help improve the health and wellbeing of our citizens. Such funding has never been more important. Right across the country clubs at all levels are finding that other sources of funding are drying up. They are finding it increasingly difficult to attract sponsorship, while the subscriptions normally paid by club members are becoming increasingly challenging to collect. As you will be aware programmes like the Sports Capital Grants and the Local Swimming Pool Programme have been suspended and that is totally understandable in the current climate. While we would love to see them reinstated at some time in the future it would be disastrous for Irish sport if this was in any way at the expense of current funding. As you will see from this document Irish sport is once again united in making this submission to you. Our single and united focus is that there should be no further cuts to the budget allocated to Irish sport through the Irish Sports Council for current expenditures. New online Atlas ofï¿½Freshwater fish in Irish lakesThis atlas is a collaborative project between the National Biodiversity Data Centre and Inland Fisheries Ireland.The supporting database of freshwater fish in Irish lakes was complied by IFI, with contributions from the Irish Char Conservation Group, and is available to view through Biodiversity Maps. 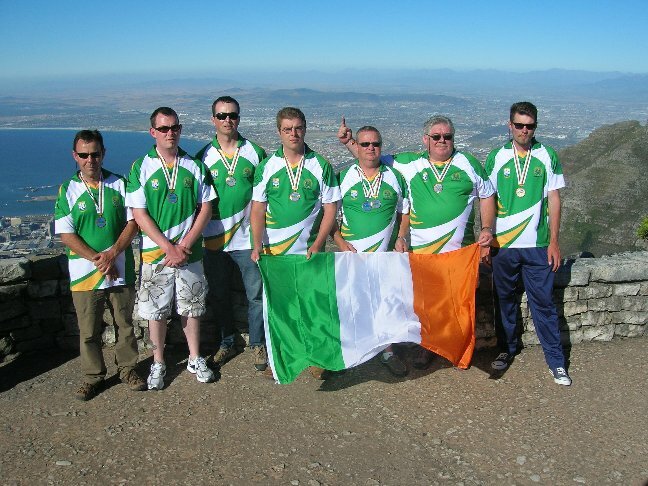 IRISH SHORE ANGLING TEAM WINS 2010 WORLD CHAMPIONSHIP IN SOUTH AFRICA The Irish Shore Angling team , representing the Irish Federation of Sea Anglers, made history for Irish sport this week by winning the World Championship in South Africa last week. The World Championship, in itï¿½s 27th year, was contested by 16 nations and fished on the beaches of Langebann in the Western Province of South Africa. The event was held in shallow , clear water bays where water temperature reaches 24 degrees, several degrees warmer than the open coastline. This extra heat attracts fish of all species, especially small shark and rays. 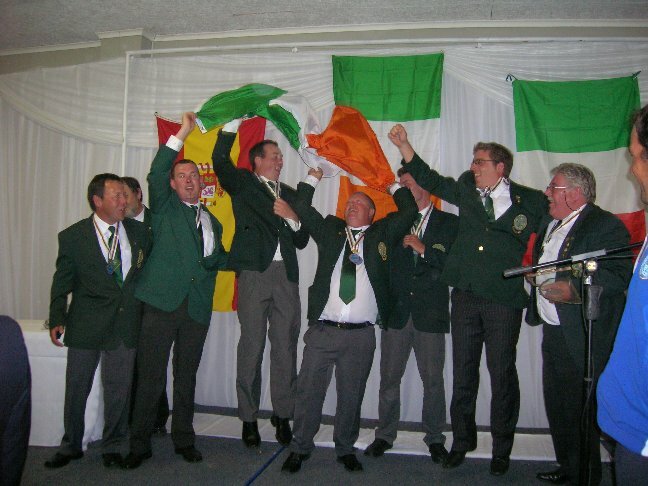 Irelandï¿½s previous best finish was a silver position though they have had two individual world champions, Timmy O Sullivan from Kerry and Michael Kearney from Dublin. The competition was fished over 5 days and the Irish team led from day 2, overcoming the pressure of leading from the front to beat seasoned performers Italy and Spain who finished second and third respectively. Team angling competitions are intense affairs, demanding total concentration, attention to detail and fishing to a plan. The Irish team travelled to the venue several weeks beforehand to practice and devise a winning strategy. The team consists of five anglers, one sub and a manager. Selection process is by means of a series of qualification competitions run across the provinces by the Irish Federation of Sea Anglers. This process, introduced a couple of years ago, is designed to produce the best on-form anglers and now we have the results to prove it. The result must also be put into perspective considering that the Irish team is mostly self funded by the IFSA and the individual team members. Many of the continental teams are professional sponsored anglers with the backing of substantial funds to travel and fish the venues beforehand. The IFSA are the National Governing Body for sea-angling in Ireland and recognised as such by the Angling Council of Ireland and the Irish Sports Council. It is a 32 county federation and this years team had representatives from Cork, Kerry, Waterford, Wexford and Dublin. Team members were JP Molloy (team captain), John O Brien, Timmy O Sullivan, Mark Beatty and Derek Kenrick. Team manager was Tom Lillis who is also Chairman of the Irish Federation of Sea Anglers and the official sub was Brendan Wall. As well as the fabulous team gold, Irish anglers John O Brien and Timmy O Sullivan finished second and fourth respectively in the overall individual table. As mentioned above, Timmy is a former individual world champion. This result has sealed a fabulous year for Irish sea angling.. In the 2010 Home Nations competitions, the Irish Boat team and the Irish Shore Under 16ï¿½s and Under 21ï¿½s teams took gold medals in Belmullet and Scotland respectively. Congratulations to all involved for a superb result for the team, the federation and the country. Swim Irelandï¿½s National Child Welfare Conference ï¿½ “Safeguarding Children in Sport 2010”Saturday 27 November 2010 IMI, Sandyford Road, Dublin 16Swim Irelandï¿½s Child Welfare Conference 2010 is aimed at all National Governing Bodies and associated organisations involved in sport to focus on the requirements for safeguarding children in the sporting environment. The aim of this Conference, which is being led by Kate Hills – our National Childrenï¿½s Officer, is to highlight topics that need to be considered by adults who are given the responsibility of caring for and protecting children involved in sport. Forthcoming legislation changes affecting children ï¿½ how will this affect our sports? This important conference is aimed at everyone involved in the welfare of children in sports, including policy decision makers, childrenï¿½s officers, sports tutors and the administrators of best practice for children. You will be provided with conference materials, tea and coffee, lunch and an opportunity for you to share thoughts and ideas with others involved in sports. The first recognised all discipline angling course to be delivered in Ireland took place in December 2008 under the auspices of the Angling Council of Ireland. Four years in the making, this historic event took place in the HQ of the Sports Council of Ireland covering sea, coarse, game and pike angling.The course was given to prospective angling coaches by a team of tutors that have graduated from the Coaching Ireland course in Limerick University. The inaugural course covered Introduction to Angling (Level 0) and was aimed at introducing newcomers to the sport. The courses range from Introduction to level 5 – (International level). The importance of these courses is that they are recognised by the Irish Sports Council and they introduce coaching strategies developed by Coaching Ireland in partnership with ACI. This development now brings angling in line with all other sports across the country. The following angling National Governing Bodies are affiliated to the Angling Council of Ireland, Irish Federation of Sea Anglers (IFSA) , Trout Anglers Federation of Ireland (TAFI), Salmon & Sea Trout Recreational Anglers of Ireland (SSTRAI), National Coarse Fishing Federation of Ireland (NCFFI) and Irish Federation of Pike Angling Clubs (IFPAC). Each NGB now has representation on the tutor panel. IFSA Tom Lillis, Peter Flahive, Eamonn Fogarty and Brian Cooke. SSTRAI Bob Seward.A coaching programme is being rolled out and dates have been set for 2010. Marine NoticeGUIDANCE ON THE SELECTION OF PERSONAL FLOTATION DEVICES (PFDs) FOR USE ON-BOARD FISHING VESSELS. Stop the Slaughter of SalmonOn Saturday the 10th of July a floods in the west of Ireland allowed salmon to make their way up the rivers in particular, the riversï¿½ Moy and Clare. Water too warm for Trout/SalmonFreshwater fish that favor cool water are being hard hit by climate change, researchers say. In a new study of populations in the River Wye in Wales, salmon numbers fell by 50 percent and trout numbers by 67 percent between 1985 and 2004. WILD salmon could vanish from many of Scotlandï¿½s riversWILD salmon could vanish from many of Scotlandï¿½s rivers unless drastic action is taken to preserve the species, a conservation body has warned. The Fraser RiverHaving fished this majestic river a few years ago I could hardly believe the article below recently sent to me by Vincent Duigan. When stocks collapse in rivers of this magnitude the world has to take note. Angling Council Of Ireland & Irish Sports CouncilThe Angling Council of Ireland (ACI) is an organisation situated at Sports HQ 13 Joyce Way Park West Business Park Dublin 12. The ACI is jointly funded by the Irish Sports Council for administration purposes and by the affiliated five colleges of angling namely, Salmon and Sea Trout Angling SSTRAI, Trout Angling TAFI, Coarse Angling CAFI, Pike (game) Angling PAFI, finally Sea Angling IFSA. These have been grouped into three categories, Game, Coarse and Sea. Executive Officers from each of the diciplines above form the committee of the Angling Council of Ireland. The ACI Executive is elected from the committee members at the Annual General Meeting. The ACI is a central non governmental organisation which aims to support each of the disciplines of angling both nationaly and internationaly. The European Anglers Alliance (EEA) (Ireland) is now incorporated into the ACI and as such business and meetings will be coordinated through the ACI office. The EEA represent Ireland at the North Atlantic Salmon Conservation Organisation conferences. From a recreational point of view, coaching coarses are being developed by ACI and a programme will be put in place shortly to roll these coarses out around the country. The ACI is the central contact point for the various federations i.e. Federations Internationalde Pesce (FIP’s) and the world governing body Confederatsional Internationale de Pesce Sportive (CIPS). In addition ACI have representation on the Irish Specimen Fish Committee. The Angling Council of Ireland will have a website open shortly where full details of all the important workings of the organisation will be available. All affiliated angling clubs have been requested through their national organisations to pay a €2.00 capitation fee to ACI. It is hoped to appoint a fulltime administrator in the ACI office at Sports HQ shortly. Dr Ken Whelan, IASRB Chairman. 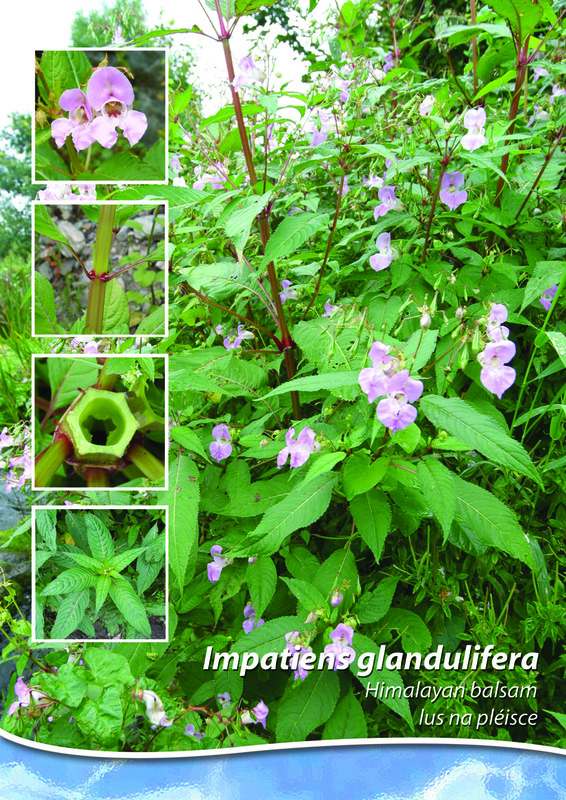 Anglers are asked to be on the lookout for this invasive species. Recently, the freshwater mysid, Hemimysis anomala, was found at Dromaan Harbour on Lough Derg. This species has not been found before in Ireland. Lough Derg is the most downstream and the largest lake on the Shannon River. An active swarm of H. anomala was recovered from within the shade of a floating tyre, in an area with dense cover of macrophytes, where depths were ~1 m. All this was within a small boating harbour with a slipway where small overland trailered boats can be launched.